We all have people we love, we all have people we lost. Let’s use this opportunity to celebrate those we have lost and honor those we love. 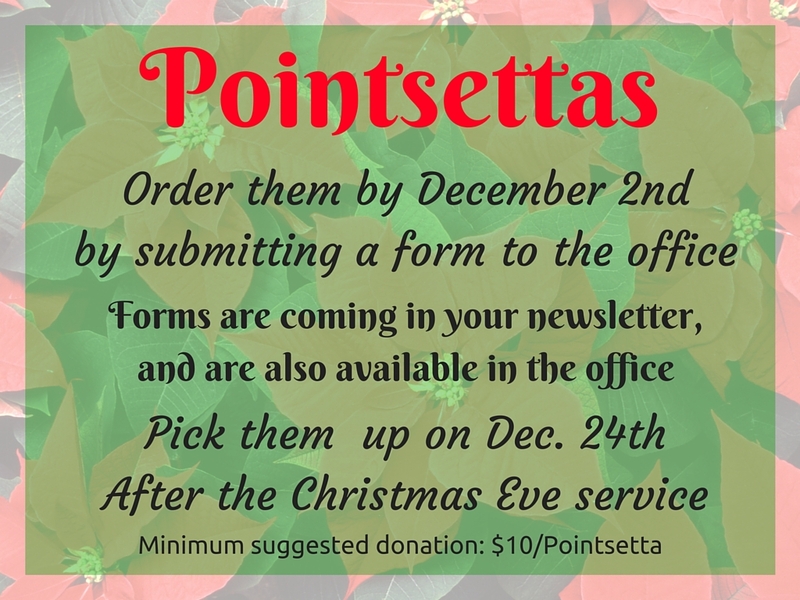 Poinsetta order forms are in the newsletter and more are available in the office. Please put in your orders by December 2nd. There is a minimum recommended donation of $10 per Poinsetta, and you can pick them up after the Christmas Eve service from the front of the sanctuary.